Today marks the one year anniversary for Bella Bella Vita and I am so very grateful to everyone who has followed my blog and continued to read my posts. It's been a labor of love and I thank you for all of your comments, emails and encouragement over the year! Bella Bella Vita has been a wonderful journey and has brought so much joy into my life. It's been an amazing creative outlet and a much needed distraction from my daily Lupus challenges. I love sharing the things that are close to my heart (Inspiration, Sweet Indulgences, Dog Lovin', Artist Spotlight, In The Kitchen & Pinterest Favorites) and have enjoyed connecting with others who share the same passions. 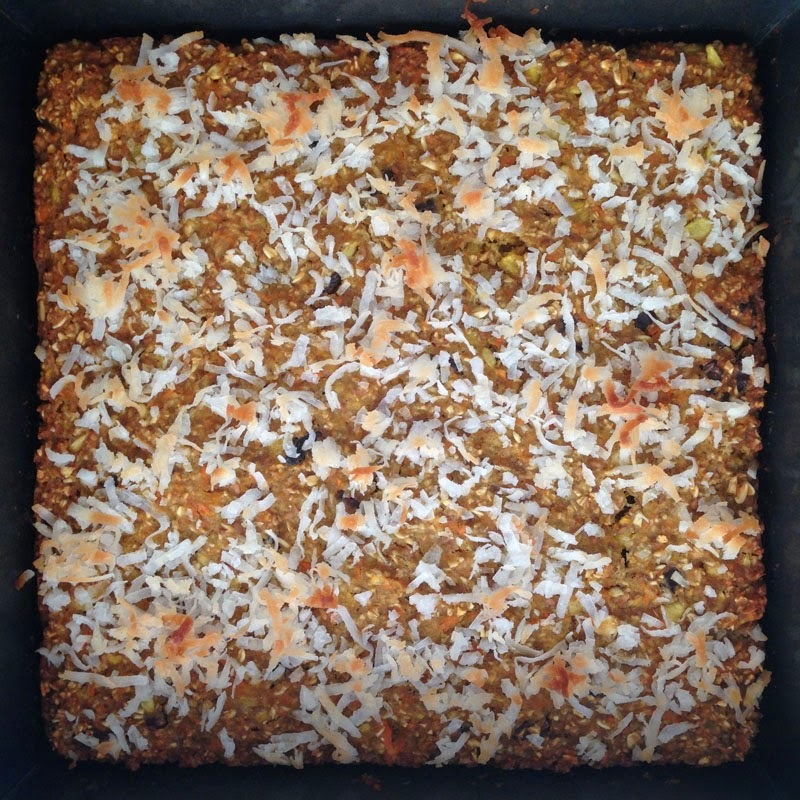 Sharing a new snack recipe I created today ... my 1st experiment with "energy" bars. I hope you enjoy! 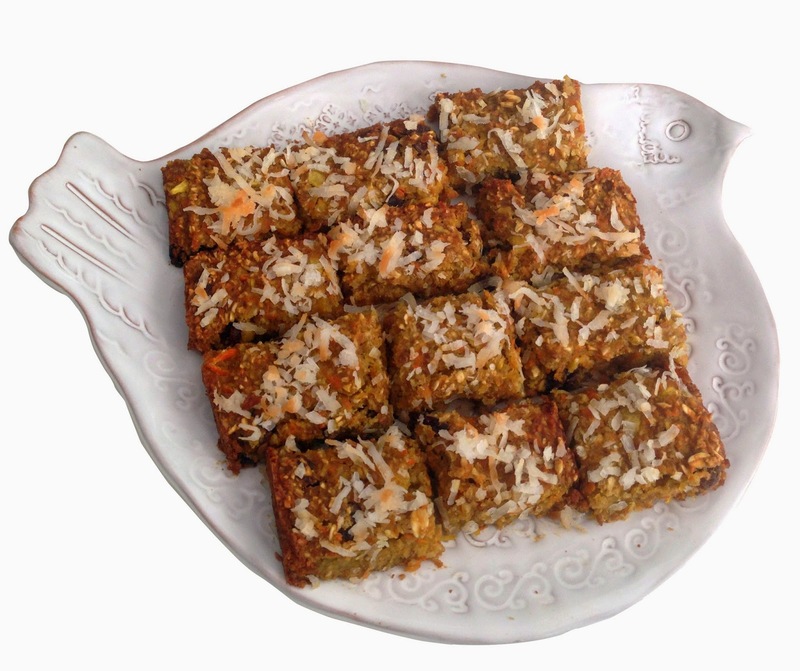 Using a Kitchenaid mixer or hand mixer, combine pineapple, carrots, coconut milk, honey, Truvia, & egg white; mix well. Add oat flour mixture to wet mixture a little at a time and mix until blended. Stir in raisins. Spread into square 9"x9" baking pan coated with canola spray. Bake 25 minutes. Cool on wire rack and then cut into bars. Enjoy! * This lovely bird plate is from Vietri and is a treasured gift from my sister-in-law. Thanks again Gale!